The Real Purpose of Parenting is a series of stories and life lessons from the world of a therapist, known as The Parent Coach. Very well-intentioned, well meaning parents are at the point of crisis with their kids because their own best parenting efforts are NOT producing the children they want them to be. And there, according to Dr. Phil Dembo, lies the problem. 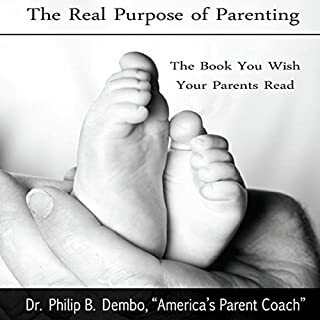 Dr. Dembo shows simple family “turn around” strategies that reframe the real purpose of parenting and gives each family, and child, their own salvation. This book changed my life and relationships!! Very good, solid advice from an experienced therapist. As a narrator, though, Dr. Dembo is a pretty good therapist. My name is Marten Mann. I work for the devil, or the prince of lies, as you people are so fond of calling him. Yes. You read that last line correctly. I am employed by the powers of evil as acquisitor ad infinitum. I did not seek out this job: I was chosen for the position. To put it in simpler terms, I am a broker of sorts - you know, the guy who finds out what it is that you want the most. I make it readily available to you for a price. I think we all know just how costly that one thing that you think you need so much can be. This a poorly written, poorly edited, meandering mess of a book. The choice of a first-person narrator was a mistake, as the main character is shallow and uninteresting. We gain nothing from having access to his inner world. The other characters are poorly developed stick figures. The performance is great, but not enough to salvage this disaster. If you're looking for a good story about the Devil getting tired of The Game, just read Neil Gaiman's Season of Mists. Much better use of your time. Say the name 'Enron' and most people believe they've heard all about the story that imperiled a presidency, destroyed a marketplace, and changed Washington and Wall Street forever. But in the hands of Kurt Eichenwald, the players we think we know and the business practices we think have been exposed are transformed into entirely new, and entirely gripping, material. 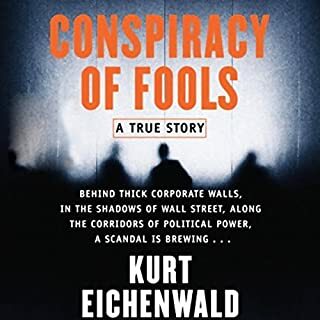 I have listened to The Smartest Guys in the Room, and I can tell you that this book provides a much more subtle telling of the Enron tale than its more famous cousin. The major players are more human and, therefore, more believable in this narrative. I recommend it without reservation. This is a wonderful book about a forgotten time in American history. The description of the hell that was the Dust Bowl is powerful, poignant, and heart breaking. The death of baby Ruth from dust pneumonia brought tears to my eyes, but the perseverance of her mother face this unbearable suffering made my spirit soar. 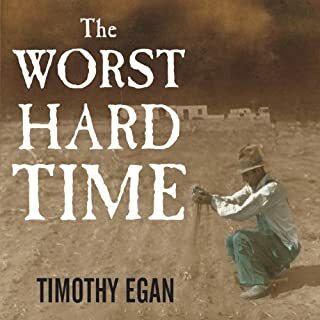 Ultimately, this book is a cautionary tale, very much current in a time when many seem to have forgotten that bleeding the Earth in the name of capitalism can have dire consequences. The performance was perfect, emotional but not melodramatic. 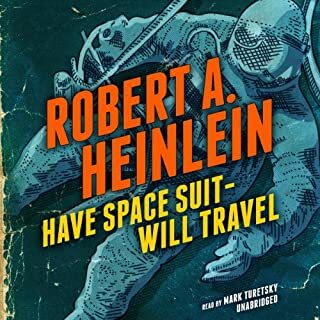 Space adventure of the highest caliber, one of Heinlein's best. The performance was great. I highly recommend to fans of classic sci-fi. Great book, especially when you consider it was published in the 30s. Decades ahead of its time. The performance was great. Great financial story of the early 20th century! This a great book. It tells the tale of the four major financial powers in the beginning of the 20th century: America, Germany, France, and Great Britain. 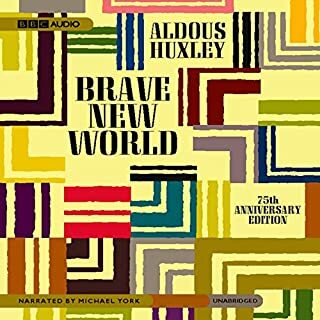 It starts in the pre World War I years and carries through to the end of World War II, covering one of the most dramatic periods in financial history, the Great Depression. 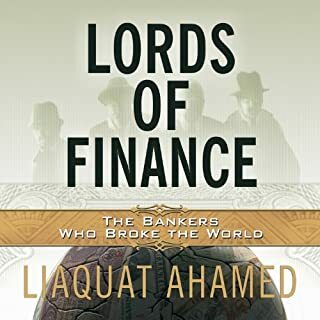 The book's premise is that the Great Depression was the result of the mismanagement of the world economy by the central bankers of the four powers, which seemed plausible in my layman's perspective. The performance is very good and compliments the story nicely. I highly recommend it. This is the classic account of Nazi Germany written by an eyewitness to historical events. 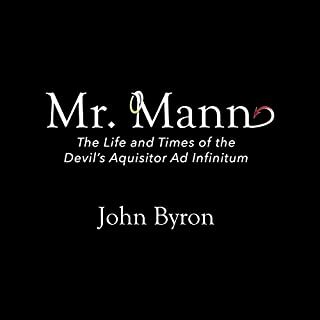 This book is thoroughly researched and brimming with painstaking references to the captured secret documents of the National Socialist regime and to the Nuremberg trial archives. A truly magnificent history book by a non-historian. Mr. Shirer was a journalist, one of Edward R. Murrow's "boys," which means this book is written in an engaging and dynamic fashion. I personally love how he repeatedly refers to Hitler as "the tramp from Vienna" or "the former corporal." This is a "big history" book, concerned with big men and big events. 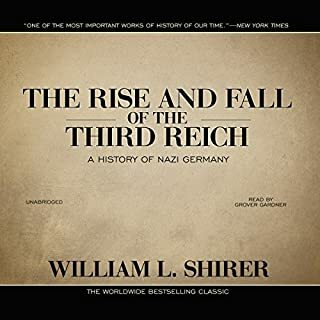 I would suggest listening to it along with Richard J.Evans' trilogy on the Third Reich, which gives a "man on the street" account of Nazi Germany, and you will have as good an understanding of this subject as can be expected from a lay person. The performance by Mr. Gardner is spot on. This book is awful. I got it thinking I was buying a book about the Madoff scandal, but this is an autobiography of Harry Markopolos. Unfortunately, Markopolos is a poor subject for a biography, auto or otherwise. Most of the book is about the author's greatness, and the stupidity of everyone else. Although he possesses intellectual and mathematical powers far surpassing those of the average man, Markopolos fails to do anything substantial about Madoff other than repeatedly submitting his suspicions to the SEC and the WSJ, even though they repeatedly ignore him. By his own admission, he never thinks about the thousands of individuals whose lives Madoff will eventually destroy, his only worry is for how the scandal will affect the financial industry. I could forgive Markopolos personal flaws, no one is perfect and it was never his job to police the financial markets, but it is grating how he takes credit for things he did not do. This is particularly apparent during the congressional hearings after the scandal broke, when Markopolos describes his joy and I-told-you-so attitude at the downfall of the SEC. It is the pettiest moment of the whole ordeal. And make no mistake, this book is an ordeal. It's boring through and through. The only thrilling episodes in this "thriller" happen inside the author's head. 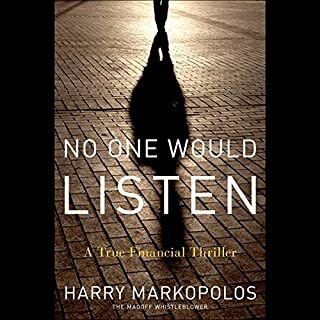 Although no one ever threatens his life, Markopolos describes various "measures" he took to protect himself from Madoff, including keeping his children waiting in the car while he checks under the carriage for bombs. When the scandal breaks, his first thought is that the SEC will raid his house to destroy his documents, so he loads a shotgun and later sends his wife to "secretly" give a digital copy of the documents to a friend. I kept waiting for Markopolos to describe the six months he spent in his basement with a tinfoil hat on his head because Madoff was reading his mind. The performance was serviceable but melodramatic. I wonder if that was a purposeful decision by the narrator, given the melodramatic implausibility of the source material. Overall, I do not recommend this book. If you want a good book about Madoff, you should get The Wizard of Lies, also available through Audible. Loved this book. 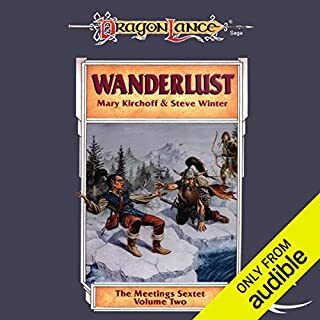 Tas has always been one of my favorite Dragonlance characters, and this book examines his first adventures with Flint and Tanis. The chapters about his experiences as a bird, a fly, and a mouse, the result of a magic potion, are particularly good. I really enjoyed the early development of his relationship with Flint, another of my favorite characters in the series. The narrator's performance is pretty good. I highly recommend it.